Everyone who has grown up seeing Hindi movies loves the Badshah, Shahrukh Khan and our stars are no different. 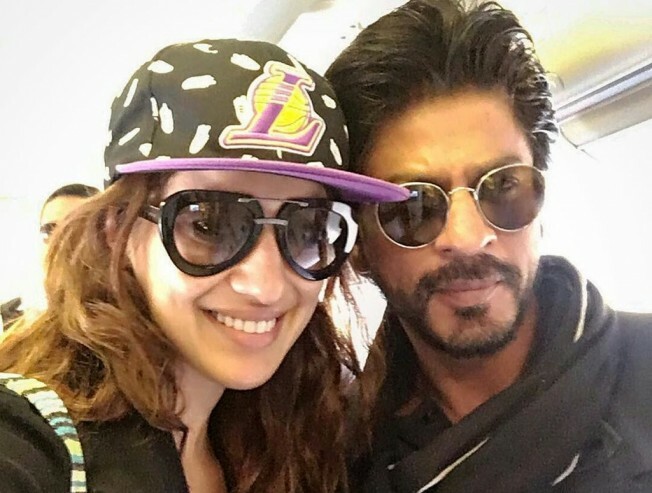 Actress Raai Laxmi posted a picture of herself with King Khan on Twitter and wrote, "Grown up watching his movies! He is a Gem was such a pleasure seeing u @iamsrk #happyshooting".